SINKIN’ IT– Check cabinets under all sinks and faucets to make sure that there is not any leaking. Be sure to check the shut-off valves for leaks or drips while you’re down there. Hopefully you will find dry cabinets; but if you don’t, fix the leak and dry out the cabinet. Once the cabinet is dry, clean lightly with bleach to help kill any mold or mildew that may be growing. LIGHT IT UP— Take a quick stroll around the exterior of your home to check all of the light fixtures. If the bulbs are burned out, get a ladder out and replace them all at the same time. If any have broken globes, replace those too. The days are about to get longer, but exterior lighting increases your security exponentially. Do the same on the interior of the home—take inventory of lamps and light fixtures and replace all the bad bulbs and any broken or missing globes. If your fixture is a specialty (or out of stock) fixture and you can’t find a replacement globe for it, you will likely have to replace the entire fixture. Often you can get a replacement from the manufacturer, but it may be more economical to replace the fixture once shipping is factored in. If the glass globe were missing on this, it would likely to be cheaper to just replace it. FILTER CHANGE—It’s that time again and the good news is you can do this while you wait for the TV commercials to end. Changing out your air filter in your HVAC system will help your system run more efficiently, save you money and help cut down on pesky airborne allergens. START A CLEAN SPREE—Spring is coming and you know what that means—spring cleaning! (Ugh, I know!) A great place to get some momentum is by deep cleaning your flooring. If you have carpet, consider having your carpets professionally cleaned. They will get new life instantly! Start washing and cleaning all fabric in your home—from rugs to curtains and beyond. It will get rid of the dust that has accumulated since the last time you cleaned them. DOUBLE, DOUBLE, COIL AND TROUBLE —The days of running your air conditioning 24/7 are fast approaching. Clean your A/C coils now so you’re ready to chill when the heat hits. If you have no idea what a coil is, consider calling your favorite A/C company or check out a “how to” video online. It is not difficult to DIY and also not expensive to have professionally serviced. Cleaning the coils will add years to the life of your unit and keep it running at peak performance. 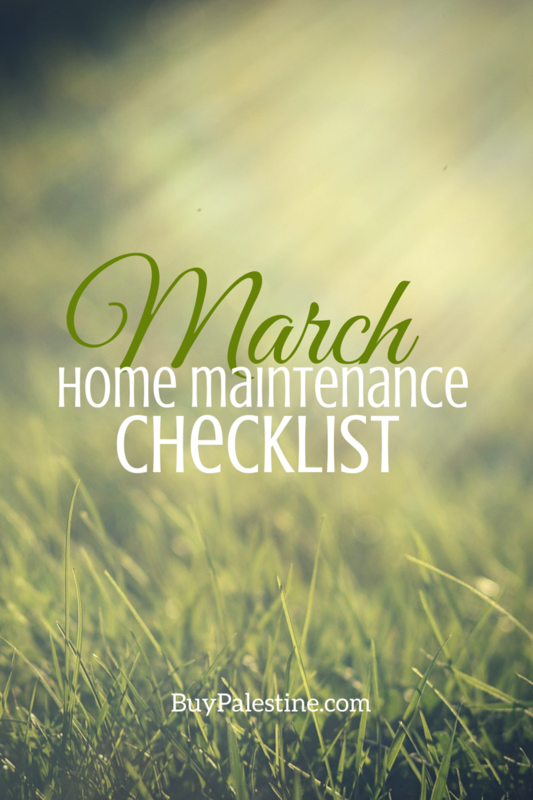 Home maintenance may seem overwhelming and it is easy to fall a bit behind. However, it’s never too late to get it back together. A little maintenance goes a long way and will save you many future headaches and big money in the long run. A well maintained home is a happy (and clean smelling!) home. Note: This article is also published in my weekly real estate column in the Palestine Herald Press – February 28, 2015 edition. Lisa E. Priest is ready for flip flop weather and is an East Texas Area REALTOR® with Picket Fence Realty, Inc. You can reach her via phone or text at 903-948-3343 or email Lisa@rentpalestine.com or at BuyPalestine.com.